Curious to know how fast you’re making money? 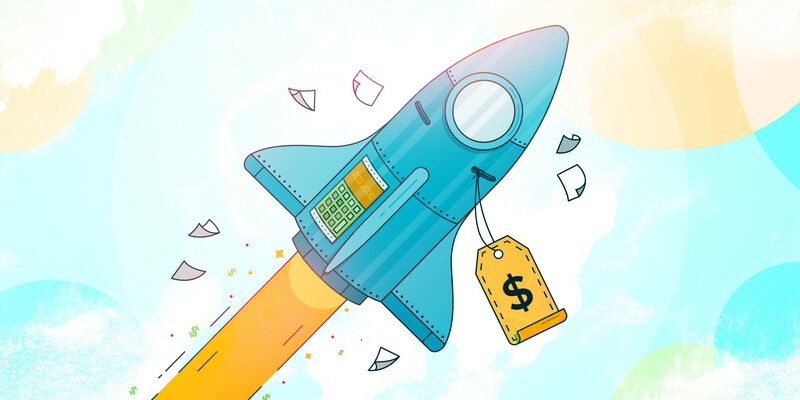 Try our sales velocity calculator and learn how tracking this metric can help you meet—and surpass—your targets. Bicycles are machines with many moving parts built for a simple purpose; getting you from point A to B quickly. There are a number of elements that influence how fast the bike can go, like the weight of the rider, headwind, and whether it’s going up or downhill. All of those ingredients combined influence the bike’s velocity, which is the measure of its speed in a particular direction. Sales, similarly, is about achieving a particular action (growing top-line revenue) in as little time as possible. And just like a bike, a sales team is impacted by a number of factors that determine its effectiveness. The measure of the speed at at which your team is generating revenue is a little-known metric called sales velocity. 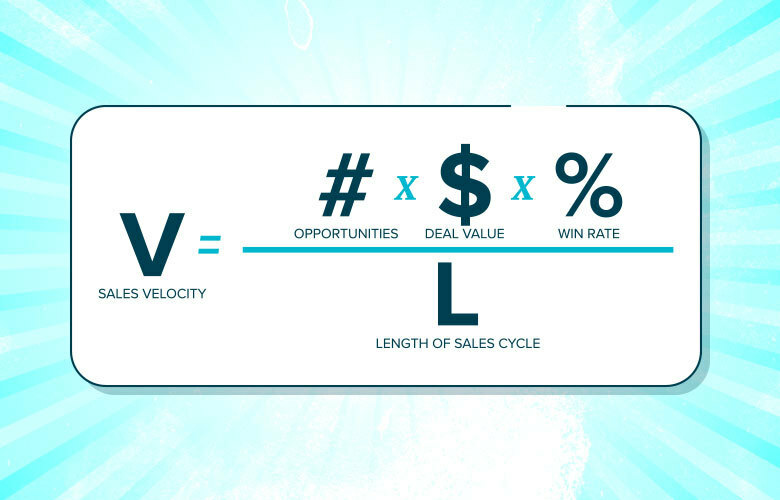 Sales velocity is the sum of your opportunities multiplied by your average deal value and win rate divided by the length of your sales cycle. To make tabulating your sales velocity easier, we’ve created a handy sales velocity calculator to do the math for you. Sales velocity gets sales managers thinking about all the individual pieces of the sales process that have an impact on their overall results. It’s a way to break it down and analyze what may be the spoke in your wheel on your ride to optimal sales performance. <="" a="">Maybe you’re in the midst of a sales slump and you assume the problem is you’re not getting enough leads in the funnel. 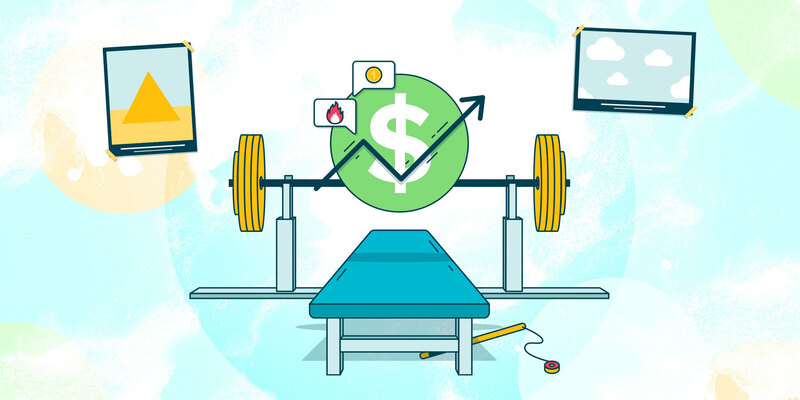 Taking a look at each component of your sales velocity, however, may reveal a greater need to focus on pumping up the value of the deals you’re closing. Or, maybe the the quantity of leads and the value of deals is healthy, but you find out it’s taking way too long to close on deals. When you calculate the metric, it ends up looking like a pretty arbitrary number. It may be hard to know if it’s a good or a bad score—but that’s not really the point. What you want to track is whether the number is increasing or decreasing. It’s important to measure the number on a weekly basis to know if things you're doing (increasing leads, shortening close times or win rate, increasing deal size) is having an effect on the number. You may be wondering how to track this on a weekly basis since deals often take longer than a week to close. The answer is to take all the deals that closed within the week, calculate each of their sales cycles in days, and then average them out. Knowing your sales velocity helps you to identify which components of your sales process need some attention. The good news is there are a number of ways you can tune them up to keep you cruising along, wind in your hair, instead of facing an uphill battle. In relation to sales velocity, opportunities represents the total number of leads (won or lost) in a given time. It takes a little push-off to get a bike in motion, so the more leads you have coming into the funnel, the bigger the push you have to get your sales rolling. Generating a high volume of leads shouldn’t be your main priority; generating quality leads should be. Having a lot of dead-end leads enter your funnel will only cost you time down the road as you try to qualify them. Save yourself the time and effort by tapping lead streams that will give you the best odds at winning deals down the road. If you’re panicked about the funnel running dry, it can be tempting to go the quick fix route of buying a leads list. However, leads lists are often expensive, ill-defined, and walk a fine line of legality. A more long-term, sustainable strategy is tightening bonds with your company’s marketing team since the customer journey begins with awareness. No one can access your product and service if they don’t know it’s out there. Sales and marketing should act as two pedals of the same bike when it comes to lead generation and revenue growth. By defining your company’s sales funnel together and agreeing on what happens at every level of it, both teams know what their role is and has more confidence about the kind of leads being produced and their ability to convert them. In sales, not only do you have to find leads and close as many deals as possible, you also want to maximize the dollar figure of each one. Amping up the average price of your closed deals will make for more revenue over time, resulting in a stronger sales velocity. You’re walking a slippery slope if your main selling point is a low price. Pricing your products and services leanly would mean having to do a higher volume of closed deals, putting more eggs in the win rate basket of your sales velocity. Price your products or services so your clients place a high value on what you’re offering. Customers tend to stay loyal to a product or service the more they pay for it. Don’t let the fear of losing leads deter you from pricing your offerings for productivity. If you want your business to grow, the size of your leads needs to grow. And if everyone accepts your price without pushback, that’s a sure sign that you’re charging too little. Another way to increase the size of your deals is to improve your understanding of your prospective clients’ needs so that you don’t miss opportunities to upsell them on additional features, services, or add-ons. The win rate is the percentage of deals won out of the total number of deals pursued. This is also known as your conversion. A key to achieving a high win rate is to qualify leads quickly. The longer a poorly-fitting lead stays in the sales funnel, the more time sales reps are spending on them—time that could be better spent on leads that might actually convert. Having a clear, concise, and specific buyer persona is extremely helpful for qualifying leads. You cannot predictably or sustainably increase the traction of your sales efforts if you haven’t clearly defined who you are trying to attract. When it comes to moving leads through the funnel smoothly, encourage your sales people to follow a proven process. Writing a sales playbook is extremely helpful for giving your sales team access to the messaging, protocols, and procedures they need to nurture leads and move them through the funnel successfully. To calculate sales velocity, the opportunities, deal value, and win rate are divided by the length of sales time, which is the average length of time resources are spent on a deal before it’s won or lost. Having a tighter sales cycle will make all of the hard work you put into ramping up the other three components of your sales velocity really pay off. Analyze your sales process. Are there stages your leads commonly get stuck in? Get to the bottom of what may be preventing your leads from progressing down the funnel and iron out the kinks. Articulate a persuasive value proposition. The better you show your leads why your product or service is the best option for them, the sooner they’ll make a decision. Disqualify leads sooner. 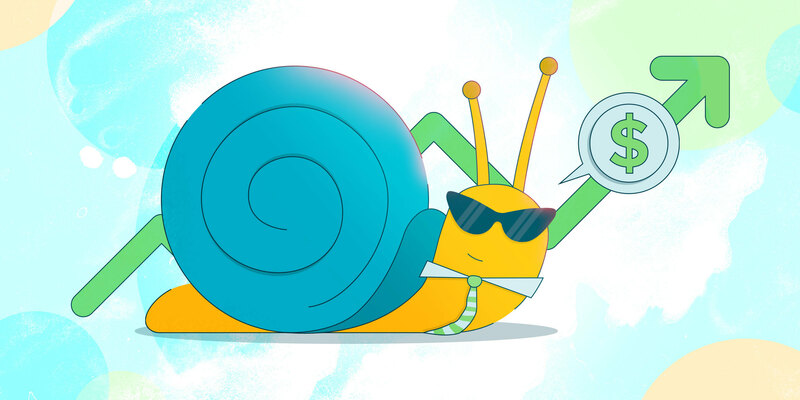 Not only will axing dead leads strengthen your win rate, it’ll save the time you would have spent on them, and shift your focus onto opportunities with real potential. Offer incentives with a deadline. One way to get customers to make a decision sooner is to offer them a special incentive or bonus, like an added feature, or staff training. Leave the perk on the table for a limited time to prompt action. 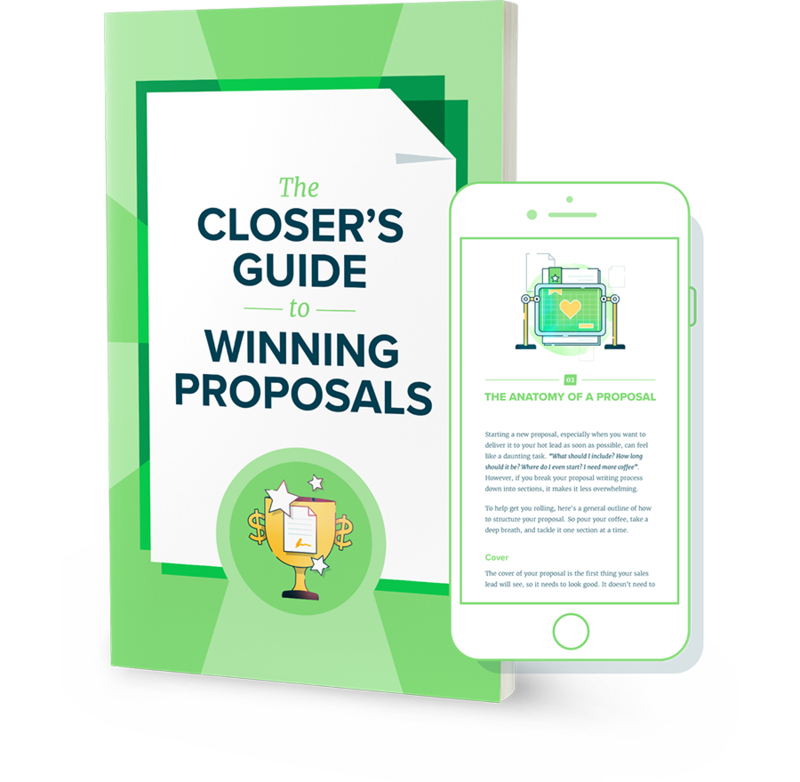 Use proposal software like Proposify to get sharp, professional bids to clients faster. Ask the lead throughout the sales cycle "If you were to want to sign on to this today, what do we need to do to make that happen?" Have them tell you the next steps, like they need to get approval from a higher-up. Facilitate whatever needs to happen on their end. Book the next appointment while you’re still on a call and wait for them to accept it before hanging up. It helps prevent your meeting invite getting lost in email. If possible, get their credit card info while in a call, or get them to enter their billing details so that you can charge the card as soon as they sign off on the proposal. The lesson you want to take away from sales velocity is not to overlook any component of your sales process. Don’t fixate on driving leads into the funnel, or obsess over selling clients on deals of higher values; working on each part of the sales velocity equation in tandem is essential to sustainable, consistent revenue growth. Ready to find out your sales velocity quickly and easily? Try our sales velocity calculator below now.